You're the only one. It's weird. Last edited by jamills21; 04-28-2016 at 08:39 PM..
Really? I haven't ventured out to those areas yet. This isn't true. The term "Black American" does exist, and I know people who prefer that to "African American." A lot of Blacks, including my sister, don't like "African American" because they're not African. It doesn't matter, because "Black" indicates origins/roots in Africa, so whether one wants to be called "African American" or "Black American," they pretty much mean the same thing. I personally don't mind either. I've never created a thread on this particular subject because I wasn't really aware of it until now. I know the history of the south and reasons for the high population of Black Americans in the south and east coast. This is just my second visit within the past six months and I have been driving all around the city for 2 days, so please excuse my ignorance. Come to South Central/South Los, whatever people call it now, and you'll find plenty of Blacks. If your here during October come to Taste of Soul. 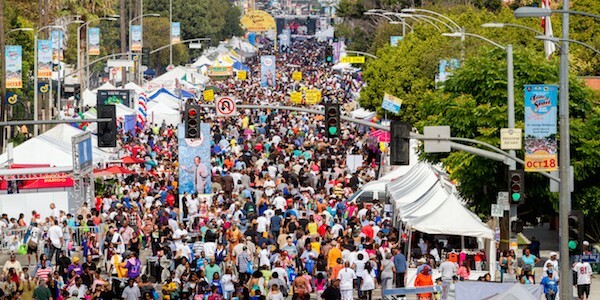 350,000 people out on Crenshaw Blvd. If your into Music, Art, and sports then I got your back as well. I just googled "Taste of Soul". It looks very interesting.